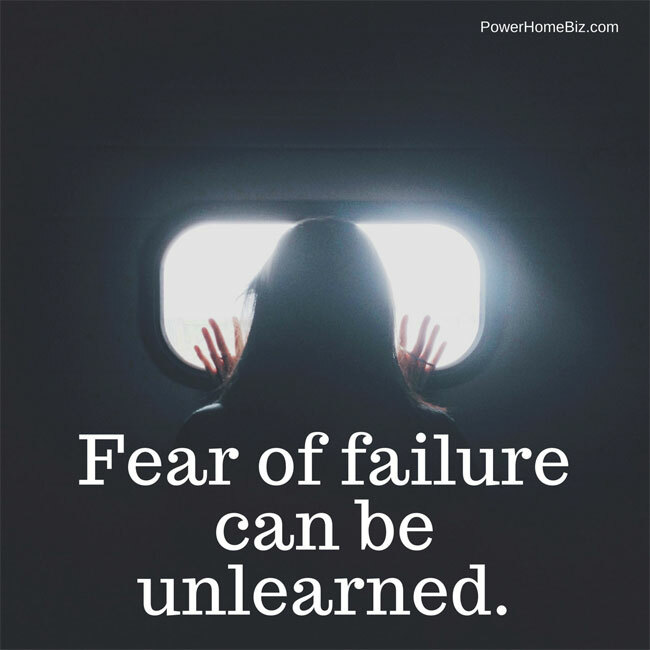 Overcoming your fear is one of the most difficult hurdles of starting a business. Starting a new business is such a leap of faith that it can scare the wits out of you; more so when you are leaving the comfort and security of a steady paycheck. Reading books on general entrepreneurship, starting a business, and publications about your specific industry. Visiting websites that provide information on entrepreneurship and starting a business, including PowerHomeBiz.com. Subscribing to magazines, such as Entrepreneur and Inc Magazine. If you are an online retailer, get hold of Internet Retailer and Website Magazine. Find trade publications in your industry (e.g. Selling Christmas for Christmas-oriented stores). Finding forums to help you learn more about the business. If you are running a blog and monetizing it through Google Adsense, participate in the official Google Adsense groups or forums such as WebmasterWorld. Networking both offline and online and find like-minded individuals who can give you advice, inspire you, and possibly even work with you. Visit sites as LinkedIn, Twitter and specialty networking sites. Participate in business groups in your area, such as the Chamber of Commerce. Talking to other entrepreneurs, including those who are in the same business as you. Some may resist and view you as a competitor, but others may be more accommodating especially if you are not directly competing in the same area. 2. Remember why you want to start a business. If fear is starting to creep in, recall the reasons why you want to become a business owner in the first place. Knowing exactly why you want to be a business entrepreneur will help you gauge how prepared you are for the long hours and financial investment owning a business demand. Are you starting a business because you want to earn more than what you can possibly get as an employee? Is it because owning your own business can be your ticket to a better life for yourself and your family? Do you want the freedom and independence to pursue your vision? Do you want to prove that your business idea works? 3. Write down your reasons for starting a business. Put your personal goals and objectives for starting a business into writing. Seeing the words on paper has a strong effect and you will soon realize if those dreams of becoming an entrepreneur are worth fighting for. When fear and doubts set in, re-read your reasons and remember what you want to achieve from your business. 4. Start the business part-time. If the idea of starting a business seems too daunting, you can opt to ease into entrepreneurship more slowly. Instead of quitting your job, and with it the security of a steady paycheck, try starting the business on a part-time business. While still employed full-time, you can choose to start the business on the side working on it in the evenings or during weekends. Or if you don’t have full-time employment, you can possibly try to find a part-time job to help with some of your expenses, while also working on the business during your free times. So even if your worst nightmare comes true – e.g. the business fails – then you still have a job to support you. 5. Be realistic with your expectations. Fear sets in when you have expectations that are too high, or too low. Entrepreneurship is like a roller coaster ride, with lots of ups and downs. You need to think of your strategy and prepare a plan, and then stick with these plans. Amidst the thrill of starting a business, it is important to keep your expectations in check. 6. Align your goals with your resources. Choose a business with lower risks, especially if your resources are limited. If you have poor credit and no savings, don’t start a business producing organic cleaning products that will require millions in production and marketing, which you don’t have or can’t get. Or don’t start a barbecue sauce business where you need an extensive distribution network to succeed. 7. Take a break . If you feel overwhelmed with starting a business, or feel lingering doubts about the process of starting a business, take some time off. Go somewhere, spend time with your family and friends, relax and find something else to distract you. Give yourself a few hours, or even days, to just enjoy life without the pressures of trying to jumpstart a business. Sometimes, relaxing and stepping back can help you see everything more clearly, allowing you to think more clearly and thus easing your fears. 8. Build relationships and support system. Sometimes, you can’t do everything by yourself. One effective way to overcome fear is to find like-minded individuals who you can trust and know that you can lean on. Find people who can understand what you’re going through, and you know is on your side. A support network — whether your family, friends, people you meet in networking organizations or virtual friends — can be your cheerleader encouraging you to continue with your path and celebrating all your successes, big and small. Your network can also be your anchor when the going gets rough. They can give you advice, open doors for you, or introduce you to people who can help you. More importantly, they can talk and listen to you when fear and doubts start to set in. 9. Face your fears. When starting a business venture, it is important to adopt an optimistic view that everything will turn out fine. However, do not delude yourself into thinking that nothing could go wrong and that everything will turn out as you have planned it down to the last detail. Starting a business is all about risks. As an entrepreneur, it is your responsibility to understand these risks and find ways how to overcome them. Sweeping these risks under a rug will not make them go away. Think about the risks you face in jumpstarting your business. Ask the “what ifs” and start by looking at the worst things that could happen. Identify what’s the worst thing that can happen if the business fails. Thinking through the worst thing could help you get a feel for the risks involved, and whether you can handle the risks if and when it happens. Figure out how you can prevail over these worst-case scenarios. Remember that there is always a way – you just have to find it. Once you’ve faced your worst-case scenario, then the process of starting a business becomes less scary. 10. Believe in yourself and in your business. Fear comes when you are uncertain, which in turn makes you question yourself your capabilities and the value of your business. You start asking questions like, “Can I do it?” or “Will my business idea work?” Shake all those uncertainties, refocus your mind, and believe that your business addresses a need. Your belief in yourself and in your business will project itself to others and help them turn into believers as well. Do what the experts – practice your ABC, or action, belief and courage. It’s important to have a solid support system when pursuing a risky endeavor. This may consist of people who can give advice or good counsel when difficulties arise. #5 is a very important point well made. Too many people I have worked with simply expected far too much much far too quickly leading to disappointment and disillusionment, always a business killer. 1. Often we forget the little guy, the SMB, in our discussions of the comings and goings of the Internet marketing industry. Sure there are times like this when a report surfaces talking about their issues and concerns but, for the most part, we like to talk about big brands and how they do the Internet marketing thing well or not so well. 2. The Center for Media Research has released a study by Vertical Response that shows just where many of these ‘Main Street’ players are going with their online dollars. The big winners: e-mail and social media. With only 3.8% of small business folks NOT planning on using e-mail marketing and with social media carrying the perception of being free (which they so rudely discover it is far from free) this should make some in the banner and search crowd a little wary……. Small Business owners are largely forgotten. Thats why I only focus on them. I have experience several members of my family file bankruptcy due to small business failures. I also I suffered through 2 destroyed businesses due to failure however, in my failings I have learned some of the secrets to success. (Who can say they know it all?